We’re excited to have once again had the opportunity to work with the great team at the IEEE Components, Packaging and Manufacturing Technology (CPMT) Society on the Electronic Components and Technology Conference (ECTC). This year’s 61st annual conference was held May 31 through June 3 at the Walt Disney World Swan and Dolphin Resort in sunny (and already hot!) Orlando, Florida. While we provide general marketing communications support for the conference, including promoting registration and calls for papers, another one of our major roles is to develop the branded CPMT luncheon. 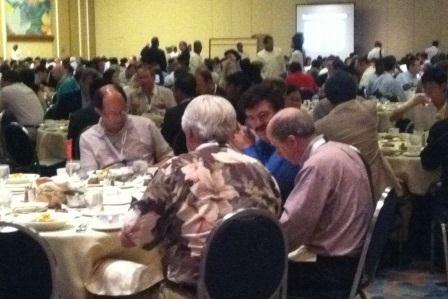 This luncheon, a special event in the ECTC conference program, is an opportunity for the Society to take a moment to honor the outstanding engineers and scientists who continue the profession’s progress into the future. One of our favorite parts about this conference is having the opportunity to talk with CPMT members and staff, especially those we’ve been working with frequently in the months and weeks leading up to the conference. 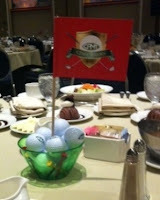 Here’s to another successful conference and CPMT luncheon – and watch out for those CPMT golf balls out on the links!